Sprint 15 40th Anniversary National Championships at Weymouth! 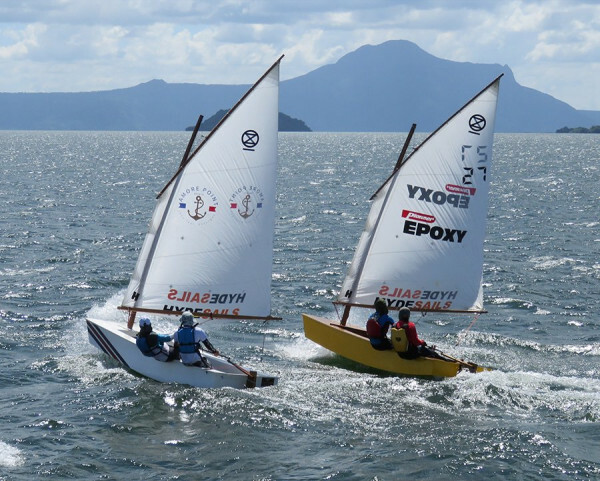 With much positive anticipation – the Sprint 15 fleet descended on WPNSA, the Olympic Sailing Venue, in late June for our 40th Anniversary National Championships and general celebrations! With support from an array of fabulous partners – GJW Direct Insurance, Kevin Kirby Limited, Windsport International, Hyde Sails, White Formula, RWO, English Braid - and welcoming longstanding supporters of the Association, including past Chairs and the founder of it all, Ian Fraser, we were all set for a great weekend. And what a weekend it was. A fantastic venue under any circumstances, we were blessed with blazing sunshine and beautiful conditions at WPNSA all weekend. 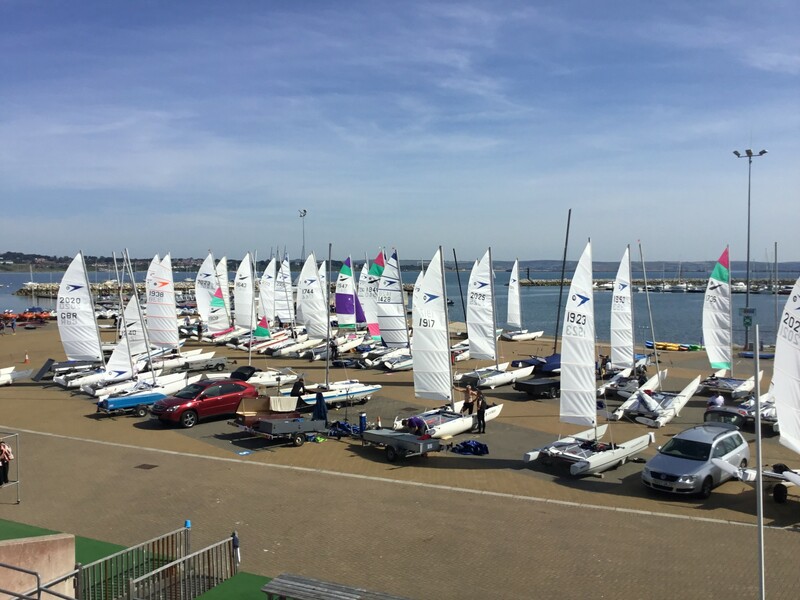 Some of the fleet arrived early on Friday to take advantage of a coaching session provided by Brian Phipps from Windsport International and Stuart Snell, multiple National Champion to help them get to grips with sailing in these waters and in fleet racing conditions. Amusingly, the lake sailing contingent left their trolleys at the waters edge, only to find them floating off on the incoming tide – earning them the first of the weekend’s spot prize awards (of which more, later). 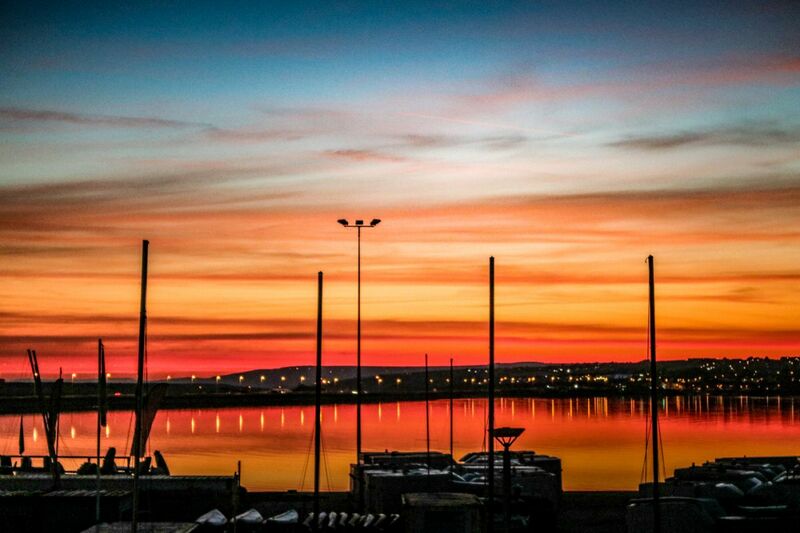 Friday night saw a gathering of fleet members for an evening meal – enjoying a fantastic sunset and general catch up on the balcony overlooking Portland Harbour. Saturday launched the event with GJW Direct Insurance Race Day and time to get into some serious racing. The forecast was not hugely promising (blazing sunshine, blue skies, riviera conditions - but Sprint 15s get nervous if the forecast in anything below 15 knots). However, under the expert supervision of the WPNSA team plus Race Management team of Fiona and Nigel Denchfield and Henry Wright - we were in great hands and got four Championship races in the bag. 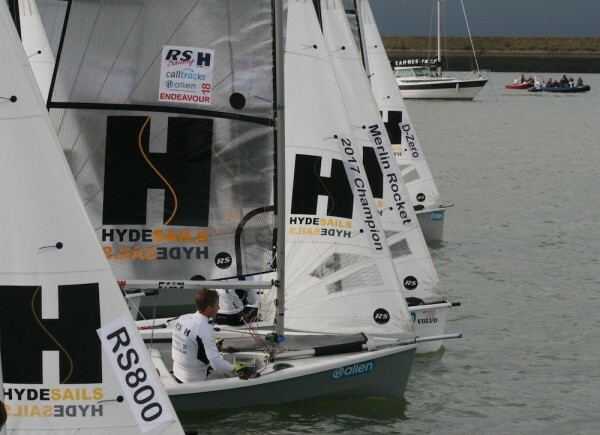 Race 1 – set off in relatively light conditions. In what turned out to be the general rule of thumb for the weekend – those who stood on closest to the WPNSA end of the harbour picked up the favourable wind and despite the risk of coming into the windward mark on port, this approach generally paid off. Stuart Snell rounded in first place, followed by David Ball, Jenny Ball and Liam Thom who pointed out that Jenny’s old boat was faster as he sailed over the top of her new boat to reach mark 2 ahead. By the end of the second lap, this had been addressed – with Stuart taking the win, followed by Jenny, David, Gary Sverdloff and Liam. Race 2 – was definitely dominated by the younger end of the fleet. Stuart Snell took an early lead but Tom Gurney and Hector Bunclark showed everyone else the way round for much of the race – whilst Gary S had another great race, fighting it out with George Love and Jenny. Stuart went on to win, followed by Jenny, George, Gary, Tom and Hector. Race 3 – Team Shanklin decided to put in their normal appearance with Liam taking the lead and showing Stuart a pair of transoms for a change. Paul Grattage and Jenny also battled it to take fourth and third place – with Hector taking fifth and Mark Aldridge finally remembering how to sail a Sprint 15 again and coming in sixth. Steve Healy had to retire due to a broken tiller extension but was back out in time for Race 4. 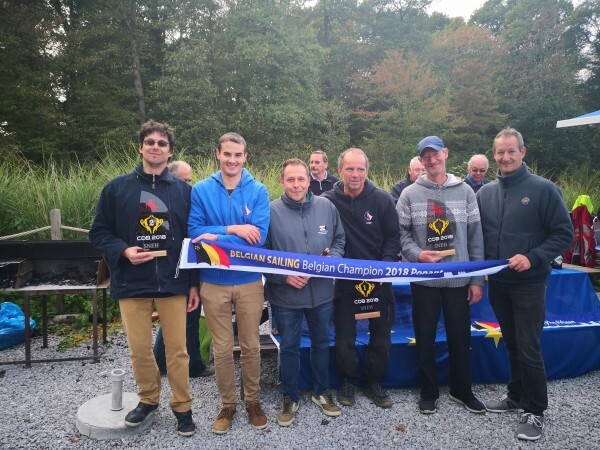 Race 4 – Liam decided once was not enough and established a substantial lead which he maintained to the end of the race – thereby proving how good you can get when you spend eight days a week sailing rather than working. Stuart picked up another second, followed by George, Kevin Kirby, David and Gordon Deuce. Aside from significant trolley support, Windsport International also supplied all returning sailors with Pimms and Lemonade. As well as being very welcome, we all decided the garnish constituted one of our five a day, so obviously all good for the serious athletes among us. Following racing, the promise of free drink and cake saw a well attended and brief AGM which is exactly as it should be. Formalities dispensed with, the fleet enjoyed a 40th Anniversary Drinks Reception to celebrate the past 40 years and plan for the next 40 years – courtesy of GJW Direct Insurance – supporting the fleet for the second year. We then adjourned for dinner – followed by a celebration Anniversary cake – ceremoniously cut by John Tuckwell from GJW Direct and Ed Dalton, our Chair. And without entirely crashing an unconnected event being hosted by WPNSA, we enjoyed another beautiful sunset from the balcony. Sunday dawned with blazing sunshine and an even less promising wind forecast – but local expertise from WPNSA suggested we would get four races in so that was the plan. Sunday was Supplier Race Day – supported by Windsport International, White Formula, Hyde Sails, RWO and English Braid who collectively make up a Sprint 15! With such support and such idyllic conditions (on land at least) – its hard not to be positive so the fleet set off out into the harbour, trying not to think about the Force 3 at 7am in the morning followed by a forecast to drop to not very much at all. 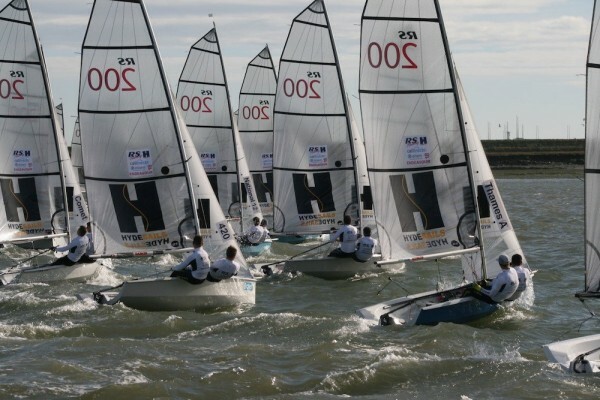 Race 5 – the fleet set off in light but sailable conditions. Standing on to the WPNSA end of the harbour provided slightly more breeze and Jenny led round the first mark followed closely by Liam and Paul. With more tension than the conditions warranted, Jenny managed to hold off Liam and Paul to take the win – with George in fourth and another fantastic fifth place for Tom Gurney. Race 6 – Chris Tillyer decided to try a port hand flyer which he pulled off brilliantly to take a clear lead off the start. After a bundle at the windward mark, filmed by Brian Phipps drone, port hand boats did not do well. But Chris led the way – pursued by Stuart in what turned out to be a closely fought fight to the finish that most of the fleet spent more time watching, rather than concentrating on their own race. Chris took the well deserved win, followed by Stuart, Mark, Liam and Gary. Race 7 – Chris took another port flyer, and surprisingly, the fleet let him get away with it for a second time. Liam and Paul not far behind for the first lap. 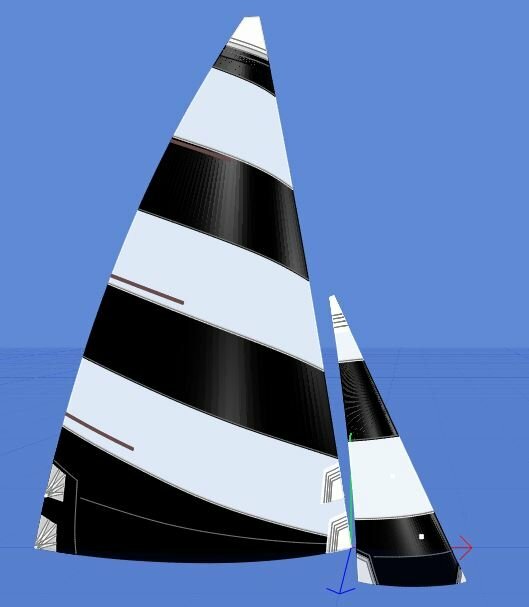 On the second lap – Stuart and others took the left hand side of the course which paid off massively with the build of the sea breeze. The race positions shuffled considerably as a result with Stuart taking the win, followed by Paul, Gary, Peter Slater and Ed Dalton. Race 8 – Jenny and Jan Elfring decided to join Chris for another port flyer although the rest of the fleet had had enough and slid down the line making ARO Henry Wright mildly apprehensive about the pin end committee boat. Ducking a few boats proved worthwhile as it got the pin end starters to the favourable winds on the right hand side of the course giving a good advantage. Jenny led round the windward mark followed by Paul and David. Jenny held on to the lead to take the race win, followed by Paul, David, Peter Slater and Ed Dalton. Jason Clarke’s mast had come down in race 7 – but he still managed to make it out in time to finish race 8 in a credible mid-fleet place. The fleet headed ashore and got glammed up (ish) for the Class Association Dinner celebrating our 40th Anniversary – supported by Windsport International, Hyde Sails, White Formula, English Braid and RWO. We were delighted to be joined by Ian Fraser, originator of it all – together with Pat Oxley, Jim Jeffrey, Cissy Dewhurst, Chris Tillyer and Ed Dalton representing Association Chairs for the vast majority of our 40 year history. Courtesy of Morrison Design Ltd and George Love (current Vice Chair) – a million wonderful memories were relived courtesy of fantastic picture boards sharing events, sailors and boats – both past and present - who make up the fleet’s past and future. We hope we can share these again at a future opportunity. Team Draycote – who fielded an impressive 9 competitors. But more importantly, as pond sailors had left their trolleys by the waters edge, only to find them floating in the harbour when they came back from sailing. Collected by Owen Jones because none of the rest were brave enough. Steve Pell – another pond sailor who jumped off his boat too far off the beach and had to be rescued by Stuart Snell. Jason Clarke – another junior competitor, whose mast came down but was ashore, fixed and back out for a mid fleet finish in the next race. Daren Fitchew and Jim Bowie – for promptly forgetting directions to their accommodation on Friday night and dragging the Events Assistant out of bed to go and retrieve them. Nigel James - for sailing three whole days without capsizing – defying all known precedent but sadly depriving the RNLI of further donations for this weekend at least. Steve Healy - for breaking his tiller extension but still getting back and out for the next race, although needing to give everyone a wide berth as he had his Sport mode extension instead. Chris Tillyer for daring to and pulling off three port hand flyers in a row. Even the RO was reluctantly impressed. The fleet then enjoyed the wonderful music of James Tattington who managed to successfully entertain an audience aged 14 to at least 84 (a musician we would highly recommend) and lots of conversation and reminiscences for the rest of the evening. Monday dawned and it was another beautifully sunny day for the final race day sponsored by Kevin Kirby Ltd. Another light wind day – we hoped we would be as lucky as the previous two days and get enough wind to finish the final race of the Championships. So the amazing WPNSA local knowledge was consulted and it was agreed to wait until 12 noon to see if the unlikely sea breeze would appear. In the boat park, degree level Maths were applied to work out the different permutations if the race was to go ahead and who needed to be placed where to beat someone else. Sadly, the local predictions were correct and the breeze did not materialise. Conscious of those travelling – it was reluctantly decided to cancel racing and quit whilst ahead after eight great races. The prizegiving, sponsored by Kevin Kirby Ltd, was made even more special as Olympic sailors Ben Saxton and Nikki Boniface kindly took a break from their training schedule to present the prizes. To the slight bemusement of Ben and Nikki, we moved through our very personal but highly coveted special category prizes – including Heavyweight (Nigel James), Over 50 (Mark Aldridge), Over 60 (George Love), Over 70 (Stuart Snell) and Youth (Hector Bunclark). The septuagenarians also showed their mettle with Pete Richardson and Stuart Snell winning the Pro-Am trophy. We were delighted to award Tom Gurney, our youngest competitor the Most Improved trophy and his fellow youth sailors Aaron Kirby and Lucy Littlejohn won the Paul Smith Most Persistent Trophy and the 2 Up Cup. And our special 40th Anniversary category of oldest boat was easily won by Dave Rowe sailing sail no. 378. We then moved into the less important prize categories culminating in Liam Thom – 3rd place and winner of Races 3 and 4, Jenny Ball – 2nd place and winner of races 5 and 8 and finally winner of races 1, 2, 7 and 2018 40th Anniversary National Champion - Stuart Snell. 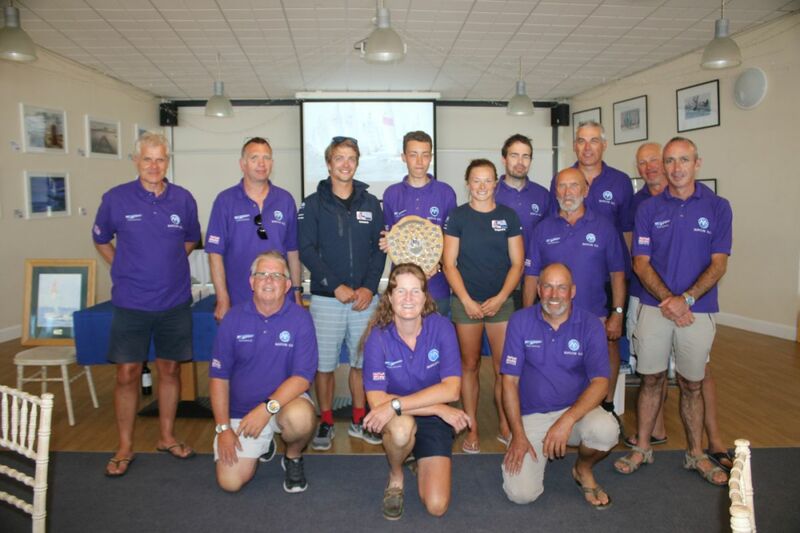 Finally, the Team Trophy was presented to Marconi SC who had flooded the event with 11 competitors, nearly as many supporters and many, many purple shirts. All that was left was to wish Ben and Nikki all the very best in their sailing endeavours, to thank Nigel and Fiona Denchfield, Henry White, all the WPNSA staff and volunteers for running a superb event and to reluctantly head home after an amazing weekend.